The latest trend in home exteriors is borrowed from Scandinavian style. Many homes in the region were once painted dark hues to trap warmth, keeping heating bills lower through the cold winter. Inspired by this Nordic look, we are seeing home exteriors with a mix of light and dark shades, such as light trim with dark siding. From moody blues to off black, there is a wide range of dark home colors to choose from. With a focus on increasingly bold contrast in trending homes, you really can’t go too dark. 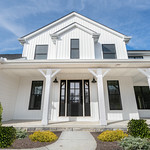 The visual interest created from dark siding, light trim and a bold accent, like a colorful front door or cedar front porch posts, has undeniable curb appeal. An all-over dark palette may be too intense, but with contrasting trim and accents, a dark exterior will enhance the structural features of your home. Try a deep blue-gray with white trim and black entry door for a timeless look that is still modern. Done correctly, the dark and light hues will make your exterior pop. A dark exterior is an emerging trend that is projected to have appeal years from now, so choosing this modern look is a smart move to ensure your curb appeal has staying power. Mixing up textures and contrasting colors results in a custom look that adds value to your home and helps it stand out from the crowd. Don’t be surprised if your trendsetting home inspires others to go dark as well. If you’re ready to go to the dark side, we’re ready to illuminate the possibilities. 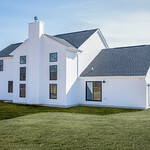 Browse our Photo Gallery to see what other Wayne homeowners have chosen for their exteriors. 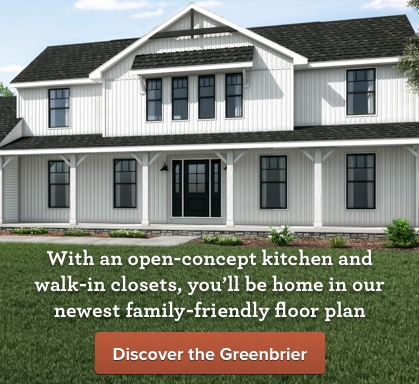 From stone and siding to farmhouse accents, the options to customize the exterior of your Wayne Home and create the home of your dreams are endless. Don’t be in the dark! 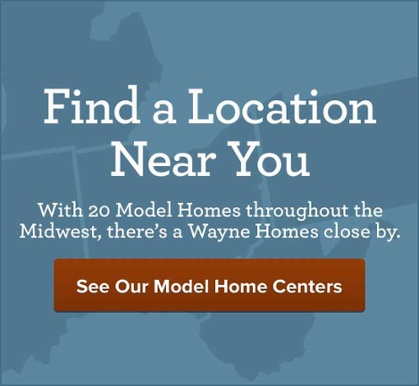 Whether you want to chat about exterior trends, or all the options available when you build your custom home with Wayne, we’re here to answer your questions. Get in touch with us.